“We are using the oceans as a universal sewer,” he told some 440 participants from the plastics manufacturing, food and beverage sectors, environmental organisations, scientists and policy-makers from over 35 countries at the Fifth International Marine Debris Conference in Honolulu, Hawaii, which ended Mar. 25. Humanity is risking its own health and survival in treating the oceans this way, Cousteau said. The oceans are the source of life on our planet. Through evaporation, oceans are the most important source of fresh water while phytoplankton generates at least half the oxygen we breathe. “No one is away from the ocean. We are all intimately connected by every breath we take,” he said. Sadly, the same is true for trash. 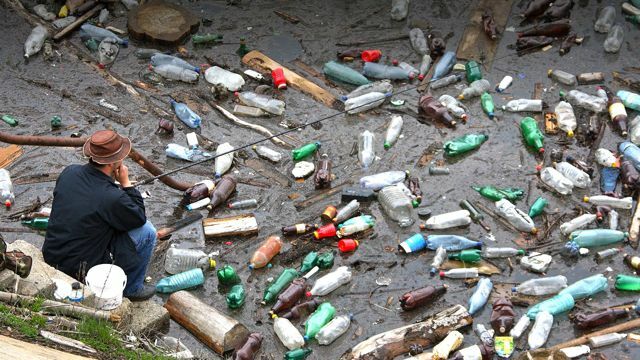 The UNEP-Global Programme of Action (GPA) estimates that about 80 percent of the plastics and other human-produced debris originate from land-based activities. In some parts of the ocean, there are three to six kilogrammes of marine trash for every kilogramme of plankton. Cousteau implored participants to collaborate and come up with a set of actions to reduce the amount of plastics and marine debris that are getting into the oceans. California nearly became the first U.S. state to ban plastic bags, but a multi-million-dollar lobby effort by industry killed the proposed legislation as it came to a final vote, said Kirsten James, water quality director of Heal the Bay, a California environmental group. 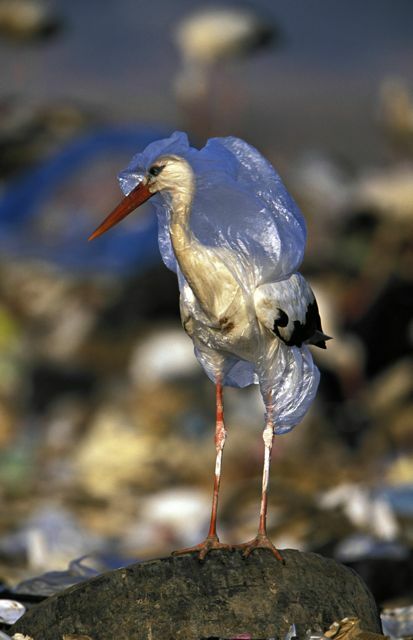 “Less than five percent of the 19 billion plastic bags used in California every year are recycled,” said James. Despite the broad coalition involving grocery store owners, unions, local legislators and the public, the American Chemistry Council, an industry lobby group, fought the ban with its own “save the plastic bag coalition”. It is now spending more millions on lawsuits to prevent towns and cities from instituting local plastic bag bans, she said. However, some cities such as Los Angeles are instituting local bans, with about 10 percent of California to be bag- free by 2012. Part of the city of San Francisco’s effort to combat marine debris is to produce zero waste by 2020. The city already diverts 77 percent of its waste but still spends 40 million dollars a year cleaning up litter, said Robert Haley of San Francisco’s department of environment. The city has banned several types of plastic, including styrofoam. “We’re working on a plastic bag ban but facing resistance from industry,” Haley said. “Why doesn’t industry simply eliminate single-use plastic containers for food and beverages?” David de Rothschild, a British adventurer and environmentalist, asked the representative from the American Chemistry Council at a special panel discussion only for media. The public should reduce their use of single-use containers and properly recycle them, responded Steve Russell, the Council’s vice president of plastics. “Why does your industry spend millions on promoting plastic bags?” de Rothschild asked. “It’s a material choice that the consumer makes, it is not about single-use,” Russell replied. When IPS asked Russell, since seabirds, turtles, fish and other marine animals are dying because of single-use plastic, why not take the obvious step of replacing it with another product, Russell gave a similar answer. “We incorporate environmental impacts into our life cycle analysis of our containers,” said April Crow, global sustainable packaging manager for Coca-Cola, another panellist. 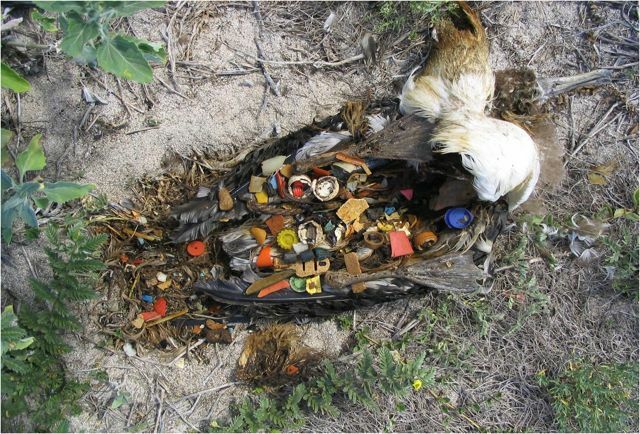 When asked by IPS if that analysis included the ecological impact on seabirds with bellyfuls of plastic, she declined to elaborate. “There is no single solution,” suggested conference organiser David Osborn of the United Nations Environment Programme (UNEP). “Marine debris is a wicked problem, one that is difficult to define, multi-causal, socially complex with no clear solution,” Osborn said to conclude the panel. “It’s a no-brainer. We have to stop putting plastic in the sea,” said Richard Thompson, a marine biologist at the University of Plymouth, in one of the scientific sessions. “There is no reason for delay. Governments and industry need to take action and people have to stop pointing fingers at each other and get on with it,” said Thompson. 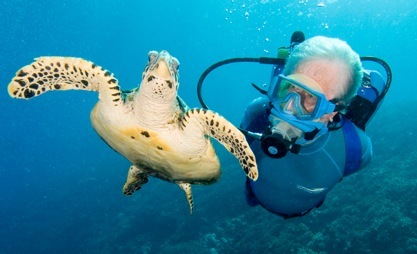 Jean-Michel Cousteau expressed a similar sentiment at the end of his opening remarks and noted that keeping trash out of the oceans would create many thousands of new jobs. “Now that we know, we simply have to change,” he concluded. First published as Fight Against Marine Garbage Runs Into Plastics Lobby – IPS ipsnews.net.